Another thriller on the board… Kartha Karma Kriya. 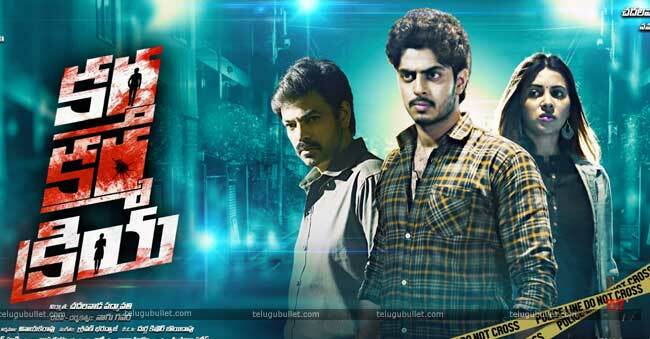 Recently, the thriller movies’ rate is increasing in Telugu so many directors are coming with those type of stories. Sri Tirumala Tirupathi Venkateswara Films is the production banner of this film. Vasant Sameer, Saher Afsha and Ravi Varma are the main leads of this film. As well as, Nagu Gavara is the director and Sravan Bharadwaj is the music director of this film. If you remember the Malli Raava movie songs, Shravan was the music director of Malli Raava movie. So, we can expect the best music from Kartha Karma Kriya. Come to the teaser, as said, this is a thriller. This realistic action thriller was shot based on true events and mixed up with fictional elements. Maybe last year, Nepolean movie trailer also created super buzz with different dialogues. In that movie also, Ravi Varma did an important role as a police officer, and now he is looking like the same. However, heroine Saher Afsha is a Kannada girl and she was a model. She did the movie “Love is blind” under the same Sri Tirumala Tirupathi Venkatesa Films banner. So, it is the second one and the film trailer will be out soon. Next articleSavyasachi Means…! Why Chaitanya Chose it..!